The International Transport Forum is pleased to offer delegates the following networking events and technical and cultural tours as part of the 2014 Summit programme. To reserve your place at any of these events, please indicate this during the registration process. 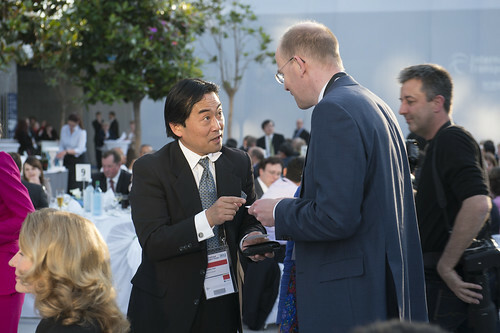 Networking is an essential part of the Summit programme. In 2014, join ministers, industry leaders, heads of international organisations, top researchers, and civil society at the Presidency Reception hosted by France, and the elegant Gala Dinner hosted by the International Transport Forum. The Presidency Reception is the opening networking event for all Summit participants. This year, it shall be hosted by France which holds the 2014 Presidency of the Forum. The venue for the reception will be Leipzig Opera House. The Gala Dinner is a festive reception hosted by the Secretary General of the International Transport Forum. In 2014, the Gala Dinner will be held in the spectacular Glass Hall of the Congress Center Leipzig.